If you haven’t heard all of the hoopla about J. Cole’s latest release then you most definitely live under a rock. His latest album, KOD, has been all the buzz in music, particularly hip-hop, and for very good reason. IT’S DAMN F*CKING GOOD! Now I know he can be a surprisingly polarizing figure in hip-hop, some people think he’s the next coming of christ and others think he’s the musical equivalent to ambien; I don’t fall in either camp, but I feel like KOD is an album that can bridge the gap between both camps. While he does still produce all of the songs, he does a much better job of incorporating upbeat songs that can and will be played on the radio, which was something that was sorely lacking on his last album, and the themes and issues he touches on throughout the album still hit extremely close to home. He’s always been one of the most relatable artists out and that fact continues to be true here. Sooo much of what he is speaking of speaks directly to me and about what I experience. 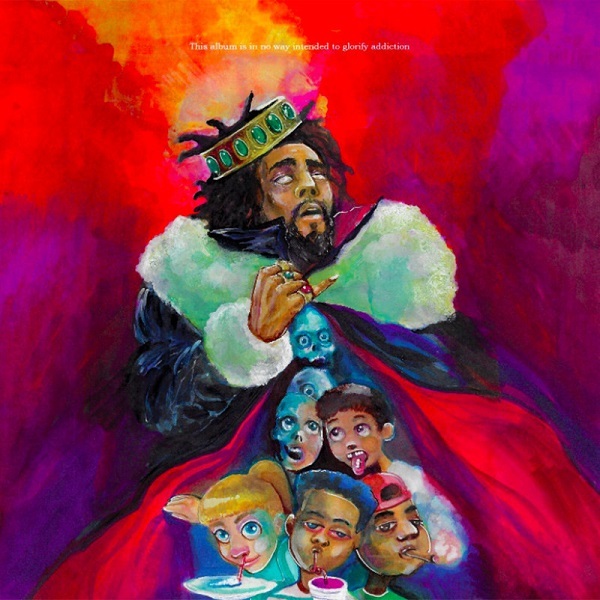 I’ve been as critical of his music as any one out there, but Cole absolutely knocked it out of the park with KOD – easily his most relatable project yet that has something for everyone. If you’re still in the ‘hate J. Cole’ camp after this then you’re just not listening enough or you haven’t experienced life enough. Simple as that. Have you heard KOD? What’d you think about it? Did it speak to you as much as it spoke to me and where would you rank it among his catalog? Let me know in the comments below and be sure to leave your own ratings and reactions for the album. I'm a fan but I've been as critical of his music as any one out there, but Cole absolutely knocked it out of the park with KOD. Easily his most relatable project yet that has something for everyone. If you're still in the 'hate J. Cole' camp after this then you're just not listening enough or you haven't experienced life enough. Simple as that.